Furniture123 blog: "This chair is heaven to sit in"
"This chair is heaven to sit in"
"Just to let you know we received this product this morning. This was purchased because my wife has severe Arthritis in the spine and has had a hip replacement and is waiting for the other to be done. Her favourite pastimes are sitting at her desk, sewing and on her computer. She tells me that this chair is heaven to sit in and would recommend it to anyone who has a back or hip problem." The chair in question is the Bernard Fabric Visitors Chair (shown below) but if you want your own piece of heaven you need to be click quick as this chair only has limited stock available. 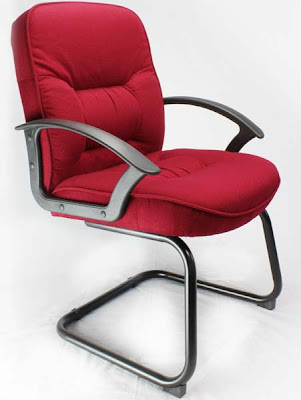 For this and more great office chairs, please visit our Office Chairs category. Or to really spoil yourself, how about a recliner chair to send you to cloud nine! Pin It Now!